C'est Moi, Sara Louise: surprise... more cheese! Guess what we did on Saturday? We ate cheese! Can you believe it?! Of course you can. I actually cannot. I mean, I hadn't planned on it. When we arrived I found a dining room table being prepared for a Raclette including the new Raclette doohicky Papa's Wife had bought for New Years Eve. A bit surprised, I turned to Papa's Wife, "Are you having a Raclette?" "Yes, isn't that why you are here?" Papa's Wife was hosting a Raclette for lunch and Papa had forgotten to tell us. Obviously it was fate that led me to the cheese. Papa's Wife's sister and brother-in-law were joining us as well, making the total six which in my opinion is the perfect number for Raclette (although I have racletted with ten and that was OK and I've racletted with only me and The Husband and that was pretty good too so really any number is a good number). And this time, unlike the New Years Eve time, the new Raclette doohicky actually worked. That thing was in overdrive, you couldn't get a plate under the melting cheese fast enough (for the record the Husband's plate was there the most, homeboy had eight potatoes covered in cheese... eight!). Being in super-overdrive, the cheese caught on fire at one point. So it was like Raclette a la Flambé, which caused me to shout, "the cheese, the cheese, the cheese is on fire!" But I shouted this in English and everyone just stared at me. Since it's still January, and France, and you're not allowed to get up from the table without dessert, there was a Gâteau des Rois, which I confess to normally not liking very much, I find them a bit dry and blah, but this one was à la chantilly, as in it had a thick, like two inches thick, layer of cream in the middle of it. I'm pretty sure that that two inches of chantilly has magically transferred from the cake to my thighs. And my piece of cake had the little thingy inside (which is actually called, la fève), I'm not too sure what it was, it looked like a smiling bear with his arm around a mole in a chef's hat (???). I wanted to take it home but Papa's Wife's sister took it home because supposedly a friend of hers collects the things. I kinda think she might be the 'friend' but whatevers. hahahaha! i love this! and i love you describing how much The Husband ate! Amazing. Our last raclette session was Lancelot eating two pieces at once...him and his bro competing! I love that you love raclette! fromage en flambe!!! en flambe! You didn't get the chef-hat wearing mole? That's merde. um, err, crap. That night he walked around the house saying, "I think I ate too much today"... you think??!! Guess what? We ate raclette too last weekend! And that's not all, as there was cheese leftovers but not enough for raclette, I made tartiflette from the raclette :P It will be really hard to get back on shape for summer! Just learned this weekend the north and south of France serve completely different king cakes! 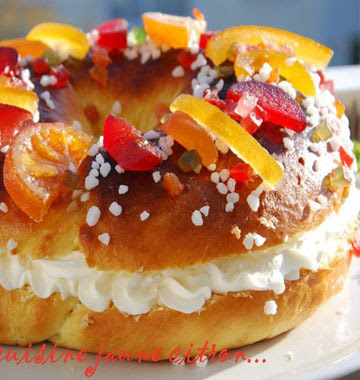 I didn't care for the southern one, but the Galette des Rois you'll find in the north is fairly devine. A raclette of any number is a good as you say. For New Years, Shirley and I had a wonderful raclette sitting on the floor in front of the fire place and watched the ball drop in Times Square. That sounds like a perfect way to ring in the New Year! Sara, you are so funny. Thanks for making me laugh out loud today - I really needed that! But ne thanks pas for making me so hungry for cheese! Yummmmy raclette! I just had my first raclette experience last weekend and I am SOLD! Thanks for the laugh :-) There's no such thing as too much cheese! Haha, love the cheese is on fire. I sang that as I was reading it. Raclette sounds amazing, I totally want to try it! I'm not keen on the galette either. We have a tradition of bringing them into work and the one who gets the feve has to bring in the next galette. By the end of Jan I'm heartily sick of galettes unless they are made by one rather marvellous baker who makes the only galette I will eat but not all the feve winners are prepared to pay his prices, sadly. We are entering the weather for a fondue!! YAY! ha I love when I make awkward English comments that I realize others may not find the humor in. I think I can eat cheese every 10 seconds! I love cheese. When I make pizza I don't use mozzarella but cheese! Its' simply divine. We shared a Raclette with some friends when we were here over the summer. It's on my list of things to buy as soon as we get settled!!! Yumm-o!!! It's always a good time to raclette. Hoping you got traditional cheese, and not the wasabi version that turned up around our way recently.I had thought about taking a raclette machine (is it really a machine?) home to Australia as a present for my sister, but where would you get the right cheese??? That Gâteau des Rois looks really good. Fred loves his Raclette. The kids seem to like it too. I think I'm too much of an American to "get it"! But Fred could have cheese every night. Well, if I would let him. Oooooh, I still have never tried raclette. 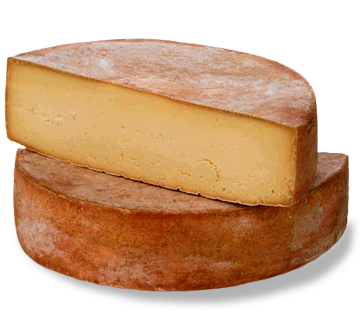 I have NEVER tried raclette. I think I am missing out.. It doesn't seem to exist in Spain though, so I might have to just go to France in the near future or something. You make me want cheeeeeese!! I never tire of hearing about cheese. All your cheese parties make me so jealous!! Everyone stared because you yelled in English? LOL That is just too funny. I work with a Belgian and when he can't remember how to say something in English, I just stare at him trying to figure out what his beautiful french words mean. Hi Sara! My boyfriend and I are cheese and food obsessed and are very seriously considering a trip to France this summer. We don't want to do the cliche thing by staying in Paris, we're thinking more like Provence or Brittany. Do you have any suggestions about booking airfare somewhat inexpensively, and where to stay? I'd appreciate it! You're writing always cracks me up. Glad the doohickey worked out this time around. She was totally crushing on your la feve! I have never won it, but am always afraid of cracking a tooth on it. "Congrats! You are the big winner! Now off to the dentist you go!" I had authentic raclette in Paris with a French friend in November and it was soooo filling! She is a tiny thing but made me look like a dieter... I was so full of cheese and she was able to finish it off. Must be the air in Paris or something! You can never turn down cheese! Chantilly makes everything better. It's like sour cream. And butter. And cheese come to think of it. I'm jealous of your Raclette and curious to see this supposed "collection" of la feves. Yeah right!